These can be used as replacement earwires on gold earrings which have earwires that cause an allergic reaction. The anodized yellow color is a brighter yellow than 14k gold, but a complimentary match. 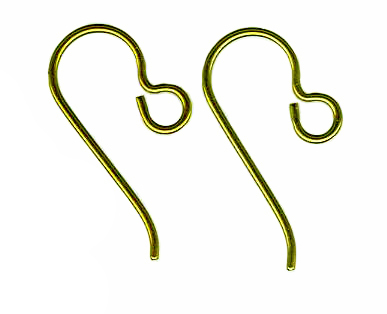 These earwires are suitable for metal sensitive ears. Niobium is hypoallergenic like titanium.